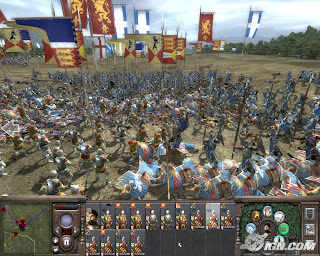 Medieval 2 introduces a few new twists to the established formula of the original game. Settlements come in two flavors now, towns and castles. Basically, towns and cities generate a lot more cash, but castles generate a wider variety of military units and are much harder to capture. It's an interesting idea, and it's not exactly a detriment to the experience that the supercities of the original game are no more, but this does add in a bit more micromanagement as you have to constantly shuttle troops and agents between various settlements. For instance, you might want to send depleted formations back to a castle where they can retrain and upgrade with the latest weapons and equipment. sound card DirectX: DirectX 9.0c.